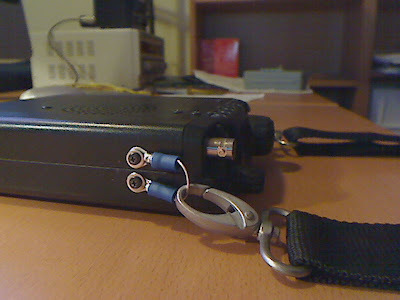 When I bought my FT-817 (second hand) it came with a shoulder strap but the shoulder strap holders were missing. I talked to the seller and he promised to send them to me. Few days later I have received another shoulder strap so that now I had two shoulder straps but still no holder!